Southern States Intensity 22% Calf Starter (RUM) Medicated is a textured, complete calf starter feed for the prevention and control of coccidiosis. This highly palatable feed supports optimal health and growth. The high level of protein assists in promoting aggressive early intake for your calves. Southern States Intensity 22% Textured Calf Starter (RUM) Medicated also contains yeast to help improve feed consumption as well as selenium yeast to support immune function. Research shows improved calf growth rates using the Intensity calf raising program, designed to get your calves off to a healthy start. Seasonally available with the insect growth regulator ClariFly® to help control fly populations. Feed to calves (excluding veal calves) at the rate of 0.62 to 4.44 lbs per 100 lbs of bodyweight per day depending on the severity of challenge up to a maximum of 8.88 lbs per head per day or 200 mg per head per day. This will provide 0.14 to 1.0 mg Monensin per lb. of bodyweight per day. For optimum results, obtain feeding recommendations from your Feed Service Representative. Do not allow horses or other equines access to feed containing Monensin. Ingestion of Monensin by horses has been fatal. Monensin medicated cattle and goat feeds are safe for use in cattle and goats only. Consumption by unapproved species may result in toxic reactions. Do not exceed the levels of Monensin recommended in the feeding directions, as reduced average daily gains may result. If feed refusals containing Monensin are fed to other groups of cattle, the concentration of Monensin in the refusals and amount of refusals fed should be taken into consideration to prevent Monensin overdosing. A withdrawal time has not been established for pre-ruminating calves. Do not use in calves to be processed for veal. 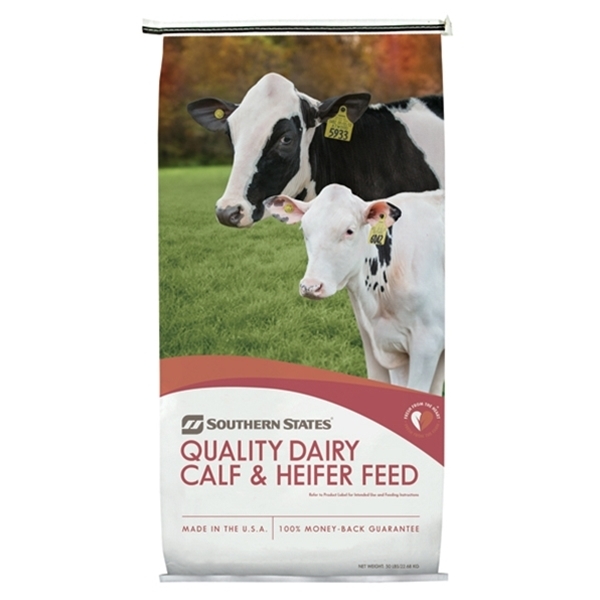 Feed to calves (excluding veal calves) at the rate of 0.62 to 4.44 lbs per 100 lbs of bodyweight per day depending on the severity of challenge up to a maximum of 8.88 lbs per head per day or 200 mg per head per day. This will provide 0.14 to 1.0 mg Monensin per lb. of bodyweight per day. For optimum results, obtain feeding recommendations from your Feed Service Representative. Caution: Do not allow horses or other equines access to feed containing Monensin. Ingestion of Monensin by horses has been fatal. Monensin medicated cattle and goat feeds are safe for use in cattle and goats only. Consumption by unapproved species may result in toxic reactions. Do not exceed the levels of Monensin recommended in the feeding directions, as reduced average daily gains may result. If feed refusals containing Monensin are fed to other groups of cattle, the concentration of Monensin in the refusals and amount of refusals fed should be taken into consideration to prevent Monensin overdosing. Warning: A withdrawal time has not been established for pre-ruminating calves. Do not use in calves to be processed for veal.